I will try and keep this post, or something similar, near the top of this page until the Organizing the Data pages are done. I'll try to get Organizing the Data posts started in a few days but, unless this election is different from every other that's ever been held, there will be additions to those posts right up until March 20. But if you're bound and determined to vote early, there are already a lot of resources concerning the qualifications of Cook County judicial candidates already available for your consideration. On this blog, to find information about the CBA's judicial candidate ratings, start at this post. For information about the ratings issued by the Chicago Council of Lawyers, click here. Want to see the Alliance grids? Click on the links in this sentence for the Supreme Court race, the Appellate Court races, the countywide races, and the subcircuit races. You early voters do know what subcircuit you're in, right? If not, you can see sample ballots by entering at this page of the Cook County Clerk's website or (if you're a Chicago resident) this page on the Chicago Board of Election Commissioners site. For early voting sites in Chicago, click here. For early voting sites in suburban Cook County, click here. Ed Austin, the Chair of the CBA's Judicial Evaluation Committee, asked me to point out that CBA's findings can be accessed by smartphone at http://m.chicagobar.org. Then, just last night, Avy Meyers wrote to tell me that Jewish Chicago is available online -- and will begin appearing on the streets today. Per email received from Jacob J. Meister, supporters of Judge Mary S. Trew are planning a fundraiser for their candidate on Sunday, March 4, from 4:00 to 6:00pm at the Tsamis Law Firm, 1509 West Berwyn. Tickets for the event are $50 but one may become a "host" of the event for a donation of $100 (a discount is also available for "young professionals"). Refreshments and hors d'oeuvres will be served. For more information about the event, or to reserve tickets, email Jacob@MeisterLaw.com. Judge Mary S. Trew is a candidate for the Epstein vacancy in the 9th Subcircuit. 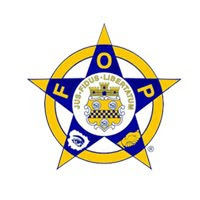 Since this post ran on FWIW on February 9, the Fraternal Order of Police, Chicago Lodge No. 7, has made additional endorsements in Cook County judicial races. The new names on the list are Judge Patrick J. Sherlock (the FOP has chosen to endorse both him and Judge Marguerite Anne Quinn in their race for the Gallagher vacancy on the Appellate Court), Karin Elizabeth Swanson (4th Subcircuit - "A" vacancy), and Terry Gallagher (4th Subcircuit - Riley vacancy). 6th Subcircuit (Delgado Vacancy) - Gregory Emmett Ahern, Jr. 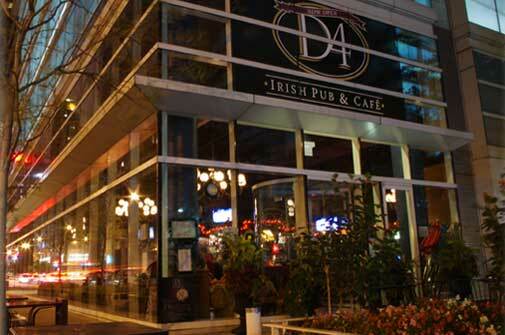 Supporters of Judge James A. Shapiro are planning a February 29 fundraiser for their candidate, from 5:30 to 7:30 pm at Twelvewest, located, oddly enough, at 12 W. Elm in Chicago. Tickets are $100 each. Sponsorships are available ($250 - Sponsor, $500 - Patron, $1,000 - Finance Committee). Discounted tickets are available for students. For more information, or to reserve tickets, call (312) 834-9794 or email votejudgeshapiro@gmail.com. Judge Shapiro is a candidate for the Chiola vacancy in the 8th Subcircuit. Supporters of Associate Judge Larry Axelrood's 9th Subcircuit candidacy are planning a Meet & Greet for their candidate on March 6, from 6:00 to 8:00pm, at The Bottle Shop in Wilmette, 1148 Central Avenue. The event will be hosted by Thomas Lienenweber and Bill Luby. For more information, or to make a reservation, email electjudgeaxelrood@gmail.com. Judge Axelrood is a candidate for the Epstein vacancy in the 9th Subcircuit. The Chicago Tribune today made endorsements in each of the three contested races for the First District of the Illinois Appellate Court. Associate Judge Mathias William Delort received the paper's nod for the Cahill vacancy, while Appellate Court Justice P. Scott Neville, Jr. was endorsed for the Gallagher vacancy. Associate Judge William Stewart Boyd was the Tribune's choice for the O'Brien vacancy. On Sunday, the Tribune endorsed Supreme Court Justice Mary Jane Theis in her bid to keep the seat to which she was appointed when Justice Thomas Fitzgerald left the court. Per email received today from Karen Kring, 49th Ward Ald. Joe Moore and his wife Barbara Moore are planning a March 4 fundraiser for 9th Subcircuit judicial candidate Abbey Fishman Romanek. The event, to be held at Ald. Moore's Rogers Park home, will run from 3:00 to 5:00pm. Tickets are priced at $50 each; "co-host" tickets may be purchased for $250. For more information about the event, or to reserve tickets, call Monica Heth at (312) 496-3647 or email monica.heth@gmail.com. Abbey Fishman Romanek is a candidate for the Epstein vacancy in the 9th Subcircuit. Supporters of Harry J. Fournier, Republican candidate for the Riley vacancy in the 4th Judicial Subcircuit, are planning a March 8 fundraiser for their candidate, from 6:00 to 8:00 pm at Gulliver's Pizza & Pub, 17W517 Roosevelt Road, Oakbrook Terrace. "Light fare" will be provided. Tickets for the event are priced at $100. Sponsorships are available (Friend - $250, Supporter - $500, Host - $1,000, Chair - $2,500). For more information about the event, or to reserve tickets, email info@founierforjudge.com. Fournier is unopposed in his bid for the Republican nomination in the 4th Subcircuit. He will face the winner of the Democratic primary in November. Tickets for the event are $100. Sponsorships are available (Friend - $500, Supporter - $1,000, Sponsor - $2,500, Host - $5000). For further information regarding the event, or to reserve tickets, email jnillis@schiffhardin.com or call (773) 598-9851. Judge William Stewart Boyd on CAN-TV tonight? I received an email so advising today, but I was unable to confirm this on CAN-TV's website. If the email received is accurate, the interview would be on CAN-TV, Channel 21 on Chicago cablesystems (Comcast, RCN and WOW) tonight at 6:00pm. In the meantime, I do have this short interview with Judge Boyd, put up online by producer Ranoule Tatum. Judge Boyd is a candidate for the O'Brien vacancy on the Appellate Court. I used to think that the only people who vote early do so because they're active in politics; maybe they have precincts to cover other than their own on Election Day. I used to think that such persons would not need a blog like this; as politically active persons, early voters would know exactly who they were voting for without need for a site like this. In conversations with actual people, however, I have discovered that there seem to be a lot of people vote early just because they can. It's simply a matter of convenience. Just a friendly caution to my early voting friends: It won't stop the phone calls. And one other thing: I simply don't have everything put together -- yet -- regarding judicial candidates. I'm still scrambling to confirm union and other endorsements. The Tribune disclosed its support of Justice Mary Jane Theis for the Supreme Court yesterday, but has not yet gotten around to mentioning the rest of its judicial picks. I will be starting my Organizing the Data picks in the next few days; I'll add as many per day as time permits -- and I will update these as new information becomes available. But for those early voters who just feel compelled to vote in the meantime, may I offer the following resources? 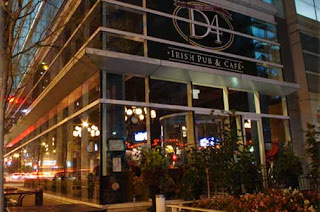 Supporters of Sharon Finegan Patterson are planning a fundraiser for their candidate on Tuesday, February 28, from 5:30 to 7:30pm at the D4 Irish Pub and Café, 345 E. Ohio Street. The entrance to the event, however, is apparently off Grand Avenue. Individual tickets for the event cost $100. Sponsorships are available (Friend - $250, Sponsor - $500, Benefactor - $1,000). To reserve tickets, or for further information, email Eva Miechur at sfplaw@aol.com. Sharon Finegan Patterson is a candidate for the Durkin Roy vacancy in the 8th Judicial Subcircuit. The Chicago Bar Association has released its evaluations of all judicial candidates running in the March primary. (The CBA's full report is available on the CBA website (PDF document). The CBA rates candidates "highly qualified," "qualified," or "not recommended." Any candidate who refuses to participate in the screening process is automatically "not recommended." In evaluating the 105 Circuit Court candidates, for example, the CBA deemed 36 "not recommended," 15 of these because they refused to participate. Of the 90 candidates evaluated by the CBA, 14 were found "highly qualified" and 55 more were found "qualified." So, what race are you interested in? 14th Subcircuit - O'Gara vacancy. Note: Some of these links will take you to page two, so you will not see all of the linked posts if you merely scroll down this page. Want to compare the CBA ratings with those issued by the Chicago Council of Lawyers? Click here. The Chicago Bar Association has released its evaluations of candidates running for the Fitzgerald vacancy on the Illinois Supreme Court. Candidates are listed in ballot order. Justice Mary Jane Theis is “Highly Qualified” for the office of Justice of the Illinois Supreme Court. Justice Theis was admitted to practice law in Illinois in 1974 and served as an Assistant Cook County Public Defender until her appointment to the Circuit Court of Cook County in 1983. Justice Theis served in the First Municipal Division from 1983-1987; in the Criminal Division from 1988-1992; and in the Chancery Division before her appointment and election to the Illinois Appellate Court in 1994. In 2010, Justice Theis was appointed to the Illinois Supreme Court. Justice Theis is highly respected for her legal knowledge and experience, outstanding temperament, and unquestioned integrity. Justice Theis is intelligent, thoughtful, and dedicated to the law and our justice system. Justice Aurelia Marie Pucinski is “Qualified” for the office of Justice of the Illinois Supreme Court. Justice Pucinski was admitted to practice law in Illinois in 1976 and was elected to the Circuit Court of Cook County in 2004 and to the Illinois Appellate Court in 2010. During her brief tenure on the Illinois Appellate Court, Justice Pucinski has heard a number of major civil and criminal appeals and has written 14 opinions. Justice Pucinski’s management experience, knowledge of administrative law, and commitment to public service would serve her well on the Illinois Supreme Court. Justice Joy V. Cunningham is “Highly Qualified” for the office of Justice of the Illinois Supreme Court. Justice Cunningham was admitted to practice law in Illinois in 1982 and had practice experience in the government, private and corporate sector before becoming an Associate Judge in 1997. Justice Cunningham served as a judge hearing civil and misdemeanor criminal cases until 2000 when she became Senior Vice President, Corporate Secretary and General Counsel for Northwestern Memorial Healthcare. In 2006, Justice Cunningham was elected to the Illinois Appellate Court and is currently serving as the Presiding Justice of the Appellate Court’s Second Division, First District. Justice Cunningham is hardworking and well regarded for her legal knowledge and broad range of practice and judicial experience. Thomas W. Flannigan is “Not Recommended” for the office of Justice of the Illinois Supreme Court. Mr. Flannigan was admitted to practice law in Illinois in 1983 and for the past 18 years has been a solo practitioner concentrating in civil and international law. Mr. Flannigan has had limited trial and appellate experience. In addition, Mr. Flannigan has no prior judicial experience. At this stage of his career, Mr. Flannigan does not possess the requisite practice and appellate experience to serve as a Justice of the Illinois Supreme Court. Judge James G. Riley is “Qualified” for the office of Justice of the Illinois Supreme Court. Judge Riley was admitted to practice law in Illinois in 1982 and was engaged in the private practice of law until his election to the Circuit Court in 1996. Judge Riley is assigned to the Probate Division and handles the disabled adult and decedent calls. Judge Riley is widely known for his integrity and strong work ethic. References praise him for his grasp of the intricacies of probate law and efficiently handling voluminous calls including the issuing of opinions. The Chicago Bar Association has released its evaluations of candidates running for the Cahill vacancy on the Illinois Appellate Court. Candidates are listed in ballot order. All of the following are candidates in the Democratic primary; no Republican filed for this (or any other) Appellate Court vacancy. Judge Pamela E. Hill-Veal is “Not Recommended” for the office of Justice of the Illinois Appellate Court. Judge Hill-Veal was admitted to practice law in Illinois in 1988 and was appointed to the Circuit Court in 2004. Judge Hill-Veal was elected to the Circuit Court in 2006 and has served in the Traffic Court and First Municipal Division. Judge Hill-Veal has not handled complex matters as a judge and during her career as a lawyer has only handled one appellate case. Judge Hill-Veal’s attendance is also problematic – she was absent from the bench 39 days in 2008, 31 days in 2009, and for most of the summer months in 2010. Judge Hill-Veal does not possess the requisite legal knowledge, experience, and writing skills to serve as an Appellate Court Justice. Judge Mathias William Delort is “Highly Qualified” for the office of Justice of the Illinois Appellate Court. Judge Delort was admitted to practice law in Illinois in 1985 and concentrated his practice in local government, education, election law, and appellate practice. Judge Delort became an Associate Judge in 2007 and is currently assigned to the Mortgage Foreclosure/Mechanics Lien Section in the Chancery Division. Judge Delort is well regarded for his knowledge of the law, work ethic, and organizational and writing skills. Judge Kay Marie Hanlon is “Highly Qualified” for the office of Justice of the Illinois Appellate Court. Judge Hanlon was admitted to practice law in Illinois in 1985 and was elected to the Circuit Court in 2004. Judge Hanlon is currently assigned to the Third Municipal District and is presiding over a felony trial call. Judge Hanlon is knowledgeable about trial and appellate practice and is well regarded for her diligence and fine judicial demeanor. Judge Hanlon has written a number of opinions as a Circuit Court Judge and has served as an instructor for new judges. Mary Brigid Hayes is “Qualified” for the office of Justice of the Illinois Appellate Court. Ms. Hayes was admitted to practice law in Illinois in 1989 and is serving as an Assistant Cook County Public Guardian in the Juvenile Division. Ms. Hayes is a talented researcher and writer who is well regarded for her knowledge of the law, keen intellect, and extensive appellate practice experience. Ms. Hayes is a dedicated public servant and has zealously advocated to protect the rights of children. Judge James Michael McGing is “Highly Qualified” for the office of Justice of the Illinois Appellate Court. Judge McGing was admitted to practice law in Illinois in 1986 and was appointed to the Circuit Court in 2006. Judge McGing is experienced in both civil and criminal law and had extensive appellate practice experience before his appointment to the bench. Judge McGing writes a significant number of opinions in his current assignment and is well regarded for his work ethic and knowledge of the law. Judge Laura Marie Sullivan is “Qualified” for the office of Justice of the Illinois Appellate Court. Judge Sullivan was admitted to practice law in Illinois in 1988 and served as an Assistant Cook County State’s Attorney for 14 years before her election to the Circuit Court in 2002. Judge Sullivan is well respected by her colleagues on the bench and by those who appear before her for her legal knowledge and ability. Judge Sullivan is an experienced jurist who possesses all the requisite qualifications to serve as an Appellate Court Justice. Judge Patrick J. Sherlock is “Qualified” for the office of Justice of the Illinois Appellate Court. Judge Sherlock was admitted to practice law in Illinois in 1990 and was engaged in private practice for more than 16 years concentrating in civil trial and appellate work. Judge Sherlock was appointed to the Circuit Court in 2007 and elected in 2008. Judge Sherlock is currently assigned to the First Municipal District where he presides over a high-volume court call. Judge Sherlock enjoys an excellent reputation and is well regarded for his legal knowledge, experience, and fine judicial temperament. Justice P. Scott Neville, Jr. is “Qualified” for the office of Justice of the Illinois Appellate Court. Justice Neville was admitted to practice law in Illinois in 1974 and was appointed a Circuit Court Judge in 1999. In June of 2004, Justice Neville was assigned to the Illinois Appellate Court, First District. Justice Neville’s trial and appellate experience make him qualified for the Appellate Court. Judge Marguerite Quinn is “Qualified” for the office of Justice of the Illinois Appellate Court. Judge Quinn was admitted to practice law in Illinois in 1986 and became an Associate Judge in 2007. Judge Quinn is currently assigned to the Second Municipal District. Judge Quinn is well versed in civil and criminal law and is qualified to serve as an Appellate Court Justice. The Chicago Bar Association has released its evaluations of candidates running for the O'Brien vacancy on the Illinois Appellate Court. Candidates are listed in ballot order. All of the following are candidates in the Democratic primary; no Republican filed for this (or any other) Appellate Court vacancy. Judge Jesse G. Reyes is “Qualified” for the office of Justice of the Illinois Appellate Court. Judge Reyes was admitted to practice law in Illinois in 1984 and became a judge in 1997. Judge Reyes is currently assigned to the Chancery Division’s Mortgage Foreclosure and Mechanics Lien Division. Judge Reyes is very involved in community, philanthropic and professional activities. Judge Reyes possesses the legal knowledge and ability to serve as an Appellate Court Justice. Judge Rodolfo (Rudy) Garcia is “Qualified” for the office of Justice of the Illinois Appellate Court. Judge Garcia was admitted to practice law in Illinois in 1981 and was elected a Circuit Court Judge in 1996. In 2003, Judge Garcia was assigned to the Illinois Appellate Court by the Illinois Supreme Court and appointed in 2011 to fill a vacancy on the Appellate Court. Judge Garcia currently serves as the Presiding Judge of the Sixth Appellate Division and is well regarded for his knowledge of civil and criminal law, writing skills, strong work ethic, and diligence. Judge Garcia is qualified to serve as an Appellate Court Justice. Judge William Stewart Boyd is “Qualified” for the office of Justice of the Illinois Appellate Court. Judge Boyd was admitted to practice law in Illinois in 1981 and became an Associate Judge in 1998. Judge Boyd is currently assigned to the Domestic Relations Division and is well respected for his legal knowledge, strong work ethic, calm demeanor, and professionalism. Judge Boyd is qualified to serve as an Appellate Court Justice. Judge Ellen Flannigan is “Not Recommended” for the office of Justice of the Illinois Appellate Court. Judge Flannigan was admitted to practice law in Illinois in 1988 and was elected to the Circuit Court in 2006. Judge Flannigan served in the Traffic Division and is currently assigned to the Domestic Violence Division. Judge Flannigan’s judicial experience is limited and currently the candidate does not possess the requisite depth and breadth of judicial experience to serve on the Illinois Appellate Court. Don R. Sampen is “Highly Qualified” for the office of Justice of the Illinois Appellate Court. Mr. Sampen was admitted to practice law in Illinois in 1975 and began his career as law clerk for a U.S. Court of Appeals Judge in the Seventh Circuit. Mr. Sampen has had a long and distinguished career in both government and the private sector. Mr. Sampen served in the Illinois Attorney General’s Office as Chief of the Public Interest Bureau and Chief of the Special Litigation Bureau. Mr. Sampen has handled appeals throughout the country and in Illinois. Mr. Sampen has served as an adjunct professor of law and has served on community boards that have utilized his expertise in cable, zoning, and security issues. Mr. Sampen is well regarded for his legal knowledge, work ethic, and vast experience. The Chicago Bar Association has released its evaluations of candidates running for the Conlon vacancy. Candidates are listed in ballot order. All of the following are candidates in the Democratic primary; no Republican filed for this (or any other) countywide Circuit Court vacancy. Karen Lynn O’Malley is “Qualified” for the office of Circuit Court Judge. Ms. O’Malley was admitted to practice law in Illinois in 1992 and served as an Assistant Cook County State’s Attorney for 17 years before entering private practice. Ms. O’Malley concentrates her practice in personal injury, medical malpractice, construction, and negligence matters. Ms. O’Malley has taught trial advocacy and is active in bar association and community work. Ms. O’Malley is well regarded for her knowledge of the law, legal ability, and outstanding demeanor. Stanley L. Hill is “Qualified” for the office of Circuit Court Judge. Mr. Hill was admitted to practice law in Illinois in 1974 and concentrates his practice in both civil and criminal litigation in the federal and state courts. Mr. Hill is well regarded for his knowledge of the law and legal experience. The Chicago Bar Association has released its evaluations of candidates running for the O'Brien, Jr. vacancy. Candidates are listed in ballot order. Both of the following are candidates in the Democratic primary; no Republican filed for this (or any other) countywide Circuit Court vacancy. Cynthia Ramirez is “Qualified” for the office of Circuit Court Judge. Ms. Ramirez was admitted to prac¬tice law in Illinois in 1990 and has served in both the government and private sectors. Since 2000, Ms. Ramirez has served as an Administrative Law Judge for the Illinois Department of Public Health. Ms. Ramirez has a fine demeanor and possesses the requisite legal knowledge and experience to serve as a Circuit Court Judge. Gerald Vernon Patrick Cleary, III is “Highly Qualified” for the office of Circuit Court Judge. Mr. Cleary was admitted to practice law in 1989 and has extensive civil practice and trial experience. Mr. Cleary has handled a variety of complex cases and concentrates his practice in products liability, transportation and commercial litigation. Mr. Cleary possesses an even temperament and is well regarded for his legal knowledge and ability. The Chicago Bar Association has released its evaluations of candidates running for the Pucinski vacancy. Candidates are listed in ballot order. Both of the following are candidates in the Democratic primary; no Republican filed for this (or any other) countywide Circuit Court vacancy. Edward James Maloney is “Qualified” for the office of Circuit Court Judge. Mr. Maloney was admitted to practice law in Illinois in 1989 and has served as an Assistant Cook County State’s Attorney in the Criminal and Civil Divisions. Mr. Maloney possesses the requisite qualifications to serve as a Circuit Court Judge and is well regarded for his even temperament and diligence. Lorna Ellen Propes is “Highly Qualified” for the office of Circuit Court Judge. Ms. Propes was admitted to practice law in Illinois in 1975 and has a wealth of practice and trial experience in both civil and criminal law. Ms. Propes enjoys an excellent reputation in the legal community and possesses outstanding credentials for judicial service. The Chicago Bar Association has released its evaluations of candidates running for the Stewart vacancy. Candidates are listed in ballot order. All of the following are candidates in the Democratic primary; no Republican filed for this (or any other) countywide Circuit Court vacancy. Judge Pamela Leeming is “Qualified” to serve as a Recalled Judge of the Circuit Court. Judge Leeming was admitted to practice law in Illinois in 1990 and served as an Assistant Cook County Public Defender for twenty years before her appointment to the bench in 2009. Judge Leeming’s extensive knowledge and experience in Criminal Law has served her well on the bench. Judge Leeming is well respected for her integrity and excellent judicial demeanor. Judge Leeming is hardworking, conscientious, and enthusiastic about her role on the bench. Terrence M. Jordan is “Not Recommended” for the office of Circuit Court Judge. Mr. Jordan was admitted to practice law in Illinois in 1976 and worked as an Assistant Corporation Counsel for the City of Chicago before entering private practice. Mr. Jordan concentrates his practice in litigation and Real Estate Law. Concerns about Mr. Jordan’s depth of practice and litigation experience coupled with concerns about his organizational and management skills resulted in a “Not Recommended” finding. Mary Margaret Burke is “Qualified” for the office of Circuit Court Judge. Ms. Burke was admitted to practice law in Illinois in 1989 and is currently serving as an Assistant Cook County State’s Attorney in the Medical Litigation Section. Ms. Burke also holds a masters degree in nursing and served as a registered nurse. Ms. Burke has handled complex litigation and is well regarded for her strong work ethic and even temperament. Rhonda Salleé is “Not Recommended” for the office of Circuit Court Judge. Ms. Salleé was admitted to practice law in Illinois in 1999 and is currently in solo practice concentrating in family law matters. Ms. Salleé is in the early stages of her legal career and has had limited practice and court experience. The candidate needs additional time to expand the breadth and depth of her experience. The Chicago Bar Association has released its evaluations of candidates running for the Ward vacancy. Candidates are listed in ballot order. All of the following are candidates in the Democratic primary; no Republican filed for this (or any other) countywide Circuit Court vacancy. Judge Alfred M. Swanson, Jr. is “Qualified” for the office of Circuit Court Judge. Judge Swanson was admitted to practice law in Illinois in 1982 and was appointed a Circuit Court Judge in 2010. Prior to his appointment to the Circuit Court, Judge Swanson concentrated his practice in litigation, tort and product liability, and general defense work. Judge Swanson has extensive civil litigation experience and is well regarded for his knowledge of the law, work ethic, and fine judicial temperament. The candidate declined to participate in the Judicial Evaluation Committee (JEC) screening process and, therefore, according to The Chicago Bar Association’s governing resolution for the JEC, is auto¬matically found NOT RECOMMENDED. Elizabeth Mary Hayes is “Not Recommended” for the office of Circuit Court Judge. Ms. Hayes was admitted to practice law in Illinois in 1986 and is currently serving as an Assistant Cook County Public Defender in the First Municipal District. At this stage of her career, Ms. Hayes does not possess the requisite knowledge of the law, temperament, demeanor, and practice experience to serve as a Circuit Court Judge. Judge Joan Marie G. Kubalanza is “Qualified” for the office of Circuit Court Judge. Judge Kubalanza was admitted to practice law in Illinois in 1984 and clerked for an Illinois Supreme Court Justice for two years before entering private practice. Judge Kubalanza concentrated in commercial litigation and appellate practice. Judge Kubalanza served as an Associate Judge in 1998-1999 and was recalled in 2008. Judge Kubalanza is currently assigned to the Child Protection Division of the Juvenile Justice and Child Protection Division. Judge Kubalanza knows the law, is hardworking, diligent, and possesses a fine demeanor. Peter Vilkelis is “Qualified” for the office of Circuit Court Judge. Mr. Vilkelis was admitted to practice law in Illinois in 1980 and served as an Assistant Cook County State’s Attorney for nine years. Since that time, Mr. Vilkelis has been a sole practitioner concentrating in criminal defense work. Mr. Vilkelis enjoys an outstanding reputation for his integrity, legal knowledge, trial skills, temperament, and fine demeanor. Brian J. Stephenson is “Qualified” for the office of Circuit Court Judge. Mr. Stephenson was admitted to practice law in Illinois in 1988 and is currently in private practice concentrating in civil and criminal law. Mr. Stephenson is an experienced practitioner with varied litigation experience. Mr. Stephenson has a fine temperament and possesses the requisite qualifications to serve as a Circuit Court Judge. The Chicago Council of Lawyers has released its evaluations of candidates running for the Stuttley vacancy in the 2nd Subcircuit. Candidates are listed in ballot order. All of the following are candidates in the Democratic primary; no Republican filed for this Circuit Court vacancy. Carl B. Boyd is “Not Recommended” for the office of Associate Judge. Mr. Boyd was admitted to practice law in Illinois in 1991 and has experience in a wide range of civil and criminal matters. Mr. Boyd possesses a fine demeanor and temperament. However, the candidate currently lacks sufficient practice and trial experience to serve as an Associate Judge. Arthur Wesley “Wes” Willis is “Qualified” for the office of Circuit Court Judge. Mr. Willis was admitted to practice law in Illinois in 1994 and has served as an Assistant Cook County Public Defender for 16 years. Mr. Willis is currently assigned to the Felony Trial Division at 26th and California. Mr. Willis is well regarded by his peers and adversaries for his legal knowledge, trial skills, and excellent demeanor. Mr. Willis is committed to improving the justice system and is actively involved in community education programs. The Chicago Bar Association has released its evaluations of candidates running for the McGann vacancy in the 3rd Subcircuit. Candidates are listed in ballot order. Both of the following are candidates in the Democratic primary; no Republican filed for this Circuit Court vacancy. Judge Maureen Delehanty is “Qualified” to serve as a Recalled Judge of the Circuit Court. Judge Delehanty was admitted to practice law in Illinois in 1992 and was appointed a Circuit Court Judge in 2009. Judge Delehanty is dedicated to her assignment and receives high marks from attorneys who appear in her court. Scott Edward Lipinski is “Not Recommended” for the office of Circuit Court Judge. Mr. Lipinski was admitted to practice law in Illinois in 2002. Since 2003, he has been employed with the Cook County Public Defender’s Office handling misdemeanor and felony criminal matters. He is known as a passionate advocate, but needs more experience as an attorney to earn a qualified rating. The Chicago Bar Association has released its evaluations of candidates running for the "A" vacancy in the 4th Subcircuit. Candidates are listed in ballot order. Julie Line Bailey is “Qualified” for the office of Circuit Court Judge. Ms. Bailey was admitted to practice law in Illinois in 1990 and served as an Assistant Cook County State’s Attorney in the Appeals Division for eight years. Ms. Bailey is currently in private practice concentrating in civil litigation and appeals. Ms. Bailey is knowledgeable in both civil and criminal law and is qualified to serve as a Circuit Court Judge. Karin Elizabeth Swanson is “Qualified” for the office of Circuit Court Judge. Ms. Swanson was admitted to practice law in Illinois in 1995 and serves as an Assistant State’s Attorney in the Criminal Court at 26th and California. Ms. Swanson is well respected by her adversaries and judges before whom she has tried cases. Ms. Swanson is hard working, dedicated to the law, and qualified to serve as a Circuit Court Judge. Linda A. Walls is “Qualified” for the office of Circuit Court Judge. Ms. Walls was admitted to practice law in Illinois in 1999 and is currently serving as an Assistant Cook County State’s Attorney assigned to the Criminal Division. Ms. Walls is well respected by her colleagues and adversaries for her knowledge of the law, integrity, legal ability, and pleasant demeanor. Edward M. Maloney is “Qualified” for the office of Circuit Court Judge. Mr. Maloney was admitted to practice law in Illinois in 1978 and concentrates his practice in Criminal Law, DUI and Administrative Hearings. Mr. Maloney has a broad base of legal experience and has been a member of several Illinois Task Forces on driving safety. Mr. Maloney is highly regarded by his peers and possesses all the requisite qualifications to serve as a Circuit Court Judge. Christine Cook is “Qualified” for the office of Circuit Court Judge. Ms. Cook was admitted to practice law in Illinois in 1990 and has served as an Assistant Cook County State’s Attorney for 21 years. Ms. Cook has handled complex trial and appellate matters. Ms. Cook is highly regarded by her peers for her integrity, diligence, legal knowledge and ability. The Chicago Bar Association has released its evaluations of candidates running for the Delgado vacancy in the 6th Subcircuit. Candidates are listed in ballot order. All of the following are candidates in the Democratic primary; no Republican filed for this Circuit Court vacancy. Beatriz Santiago is “Not Recommended” for the office of Circuit Court Judge. Ms Santiago was admitted to practice law in Illinois in 1996 and is currently serving as an Assistant Cook County Public Defender. Ms. Santiago has served in the Felony and Juvenile Justice Courts. While Ms. Santiago has court and trial experience, additional practice experience would enhance her knowledge of the law and ability to serve as a Circuit Court Judge. Mark V. Ferrante is “Highly Qualified” for the office of Circuit Court Judge. Mr. Ferrante was admitted to practice law in Illinois in 1983 and began his career as an Assistant Corporation Counsel for the City of Chicago. Mr. Ferrante worked for several law firms that concentrate in personal injury trial work before starting his own law firm in 1992. Mr. Ferrante has tried many complex cases and is well regarded for his knowledge of the law and legal ability. Mr. Ferrante has a soft spoken demeanor and is committed to serving the public good through pro bono legal services. Gregory E. Ahern, Jr. is “Highly Qualified” for the office of Circuit Court Judge. Mr. Ahern was admit¬ted to practice law in Illinois in 1995 and is currently serving as an Assistant State’s Attorney in the Felony Trial Division at the Criminal Court. Mr. Ahern is a first chair in the State’s Attorney’s office and has tried many high profile cases. Mr. Ahern is highly regarded by lawyers and judges for his legal knowledge, experience, fine demeanor and temperament. Kent A. Delgado is “Qualified” for the office of Circuit Court Judge. Mr. Delgado was admitted to practice law in Illinois in 1996 and served as an Assistant Cook County State’s Attorney before entering private practice. Mr. Delgado has tried complex criminal cases and is well versed in both criminal and civil law. Mr. Delgado is well regarded for his legal knowledge and ability. The Chicago Bar Association has released its evaluations of candidates running for the Toney vacancy in the 7th Subcircuit. Candidates are listed in ballot order. All of the following are candidates in the Democratic primary; no Republican filed for this Circuit Court vacancy. Tommy H. Brewer is “Qualified” for the office of Circuit Court Judge. Mr. Brewer was admitted to practice law in Illinois in 1976. Mr. Brewer has a wide range of experience which includes employment in the Massachusetts Attorney General’s office for four years, service as an FBI agent, service as an Assistant Cook County State’s Attorney, and, as an Administrative Law Judge in the Illinois Department of Professional Regulation. Prior to his appointment, Mr. Brewer had been a sole practitioner concentrating his practice in criminal defense. He possesses the requisite qualities to serve as a Circuit Court Judge. Roxanne Rochester is “Not Recommended” for the office of Circuit Court Judge. Ms. Rochester was admitted to practice law in 1989 and practiced in a small firm and as a solo practitioner until 2005. For almost seven years, Ms. Rochester has served as a staff attorney for a judge in the Law Division. Ms. Rochester is known for her diligence, but lacks the requisite depth and breadth of practice experience to serve as a Circuit Court Judge. Arthur P. Wheatley is “Qualified” for the office of Circuit Court Judge. Mr. Wheatley was admitted to the Bar of Illinois in 1983 and has experience in both the private and government sector. Mr. Wheatley has extensive litigation experience and served as Deputy General Counsel for the Chicago Transit Authority. Mr. Wheatley is highly regarded by his peers for his outstanding temperament, knowledge of the law, and legal ability. Mable Taylor is “Not Recommended” for the office of Circuit Court Judge. Ms. Taylor was admitted to practice law in Illinois in 1994 and has been a solo practitioner her entire career. Her practice involves both criminal defense and civil matters. Ms. Taylor has performed extensive community and volunteer work. However, Ms. Taylor’s practice experience is limited and, at this time, she does not possess the breadth and depth of legal experience to serve as a Circuit Court Judge. Mark Battaglia is “Not Recommended” for the office of Circuit Court Judge. Mr. Battaglia was admitted to practice law in Illinois in 2000 and has both civil and criminal experience. Mr. Battaglia served as an Assistant Cook County State’s Attorney for six years before entering private practice and is currently a solo practitioner concentrating in criminal defense and civil trial work. Mr. Battaglia’s practice experience falls short of the Committee’s 12-year guideline and additional practice experience would better prepare him for service on the bench. It is recommended that Mr. Battaglia obtain additional practice experience before re-applying. The Chicago Bar Association has released its evaluations of candidates running for the Chiola vacancy in the 8th Subcircuit. Candidates are listed in ballot order. All of the following are candidates in the Democratic primary; no Republican filed for this Circuit Court vacancy. Rodney W. Stewart is “Qualified” for the office of Circuit Court Judge. Mr. Stewart was admitted to practice law in Illinois in 1983 and since 1985 has been engaged as a solo practitioner concentrating in civil trial and juvenile law matters. Mr. Stewart is well regarded for his professionalism, fine demeanor, and knowledge of juvenile law, particularly in the area of abuse and neglect. Judge Celia Gamrath is “Highly Qualified” for the office of Circuit Court Judge. Judge Gamrath was admitted to practice law in Illinois in 1994 and concentrated her practice in family law before her appointment to the bench in 2010. Judge Gamrath treats lawyers and litigants with respect and receives high marks for her knowledge of the law, fine temperament, and efficiency in managing her courtroom. Judge Gamrath has participated in teaching family law to other judges and was appointed as a Peer Review Editor for the Family Law Benchbook. Judge James A. Shapiro is “Highly Qualified” for the office of Circuit Court Judge. Judge Shapiro was admitted to practice law in Illinois in 1985 and has experience in both government and private practice. Judge Shapiro was appointed to the Circuit Court in 2007 and was recalled for subsequent terms. Judge Shapiro is currently assigned to the Circuit Court’s Fourth Municipal District in Maywood and is well regarded for his fine demeanor, temperament, and work ethic. Thomas Osran is “Qualified” for the office of Circuit Court Judge. Mr. Osran was admitted to practice law in Illinois in 1990 and has worked in both the government and private sector. Mr. Osran has extensive trial experience and is well regarded for his knowledge of the law, fine demeanor, and temperament. Mr. Osran is also an active volunteer in the community. The Chicago Bar Association has released its evaluations of candidates running for the Cole vacancy in the 8th Subcircuit. Candidates are listed in ballot order. All of the following are candidates in the Democratic primary; no Republican filed for this Circuit Court vacancy. Brad Trowbridge is “Not Recommended” for the office of Associate Judge. Mr. Trowbridge was admitted to practice law in Illinois in 2000 and is currently in private practice concentrating in family law matters. At this stage of his career, Mr. Trowbridge has limited practice experience which would make judicial service difficult. It is recommended that Mr. Trowbridge gain additional practice experience before reapplying for a judicial position. John H. Ehrlich is “Highly Qualified” for the office of Circuit Court Judge. Mr. Ehrlich was admitted to practice law in Illinois in 1988 and is currently serving as Deputy Corporation Counsel, Torts Division, in the City of Chicago’s Law Department. Mr. Ehrlich supervises a large staff and is well respected by his peers for his legal knowledge and ability. Gideon Baum is “Not Recommended” for the office of Circuit Court Judge. Mr. Baum was admitted to practice law in Illinois in 1992 and currently serves as an Assistant State’s Attorney in the Juvenile Court. Mr. Baum’s practice experience is narrow and at this stage of his career, he lacks the breadth and depth of legal knowledge to serve as a Circuit Court Judge. Judge Helaine Berger is “Not Recommended” for the office of Circuit Court Judge. Judge Berger was admitted to practice law in Illinois in 1981 and has served as an Associate Judge since 1997. Judge Berger has had a number of assignments and is currently assigned to the Domestic Relations Division. Judge Berger has a strong work ethic and is committed to the legal profession. However, Judge Berger needs to address significant concerns about her temperament and professionalism. Judge James L. Kaplan is “Qualified” for the office of Circuit Court Judge. Judge Kaplan was admit¬ted to practice law in Illinois in 1971 and was appointed to the Circuit Court in 2010. Judge Kaplan is thoughtful, possesses a good demeanor, and has performed well on the bench. Ellis Levin is “Qualified” for the office of Circuit Court Judge. Mr. Levin was admitted to practice law in Illinois in 1973 and served for a time as an Assistant Cook County State’s Attorney. Mr. Levin has been a solo practitioner for more than 25 years and concentrates his practice in real estate law. Mr. Levin also served as a State Representative in the Illinois General Assembly for 16 years. Mr. Levin has written extensively on real estate law and legislation. Mr. Levin is highly regarded for his integrity and knowledge of the law. The Chicago Bar Association has released its evaluations of candidates running for the Durkin Roy vacancy in the 8th Subcircuit. Candidates are listed in ballot order. All of the following are candidates in the Democratic primary; no Republican filed for this Circuit Court vacancy. Judge Deborah Jean Gubin is “Qualified” for the office of Circuit Court Judge. Judge Gubin was admitted to practice law in Illinois in 1975 and was appointed a Circuit Court Judge in 2010. Judge Gubin is currently assigned to the First Municipal District and is managing a high-volume call in Traffic Court. Judge Gubin knows the law and has addressed concerns regarding her temperament. Judge Gubin is qualified to serve as a Circuit Court Judge. Sharon Finegan Patterson is “Qualified” for the office of Circuit Court Judge. Ms. Patterson was admitted to practice law in Illinois in 1980 and served as an Illinois Appellate Court Clerk and practiced law in both a large firm and as a solo practitioner. Ms. Patterson taught junior high school before beginning her legal career. Ms. Patterson has a fine temperament and is well versed in civil trial and appellate practice. Ms. Patterson possesses all the requisite qualifications to serve as a Circuit Court Judge. Judge Nicholas Geanopoulos is “Qualified” for the office of Circuit Court Judge. Judge Geanopoulos was admitted to practice law in Illinois in 1983 and was appointed a judge in 2008. Judge Geanopoulos is currently assigned to the Juvenile Justice and Child Protection Division of the Circuit Court. Judge Geanopoulos is hardworking and well regarded for his knowledge of the law, fine demeanor, and temperament. The Chicago Bar Association has released its evaluations of candidates running for the Epstein vacancy in the 9th Subcircuit. Candidates are listed in ballot order. All of the following are candidates in the Democratic primary; no Republican filed for this Circuit Court vacancy. Judge Mary S. Trew is “Qualified” for the office of Circuit Court Judge. Judge Trew was admitted to practice law in Michigan in 1981 and in Illinois in 1991. Prior to her appointment to the bench in 2011, Judge Trew served as Executive Director of the Domestic Violence Legal Clinic and as an adjunct professor of law. Judge Trew is well regarded for her knowledge of the law, integrity, outstanding temperament, and work ethic. Judge Trew occasionally issues detailed written opinions and has a passion for the law and our justice system. Abbey Fishman Romanek is “Qualified” for the office of Circuit Court Judge. Ms. Romanek was admitted to practice law in Illinois in 1987 and served as an Assistant Illinois Attorney General before entering private practice. Ms. Romanek is experienced in both criminal and civil law and is well regarded by her peers for her legal knowledge and excellent demeanor. Ms. Romanek is also actively involved in community work. David Charles Adams is “Not Recommended” for the office of Circuit Court Judge. Mr. Adams was admitted to practice law in Illinois in 1991 and clerked for an Illinois Supreme Court Justice. Mr. Adams is currently engaged in private practice concentrating in appellate practice and matrimonial law. Mr. Adams has considerable experience in appellate practice, but lacks the depth and breadth of practice experience to serve as a trial judge. It is recommended that Mr. Adams reapply after gaining additional practice and court experience, which would better prepare him for service on the bench. Judge Larry Axelrood is “Highly Qualified” for the office of Circuit Court Judge. Judge Axelrood was admitted to practice law in Illinois in 1985 and served as an Assistant Cook County State’s Attorney and in private practice concentrating in criminal defense before his appointment to the bench in 2005. Judge Axelrood possesses an outstanding demeanor and temperament and is highly regarded for his knowledge of the law and ability. Judge Axelrood presides over the new Veterans Court and Mental Health Court calls and treats all litigants with respect. The Chicago Bar Association has released its evaluations of candidates running for the Urso vacancy in the 11th Subcircuit. Candidates are listed in ballot order. All of the following are candidates in the Democratic primary; no Republican filed for this Circuit Court vacancy. Lisa A. Marino is “Qualified” for the office of Circuit Court Judge. Ms. Marino was admitted to practice law in Illinois in 1988 and is currently engaged in private practice concentrating in real estate tax, commercial and residential real estate law, and zoning matters. Ms. Marino is highly regarded for her knowledge of real estate tax law and has general litigation experience. Ms. Marino has a fine demeanor and possesses all the requisite qualifications to serve as a Circuit Court Judge. Pamela McLean Meyerson is “Qualified” for the office of Circuit Court Judge. Ms. Meyerson was admitted to practice law in Illinois in 1983 and has concentrated her practice in civil litigation, appeals and business law. Ms. Meyerson has considerable trial experience and is well regarded by her adversaries and by the judges before whom she has appeared. Ms. Meyerson is serving as chair in the Cook County Arbitration Program and is also an instructor for the University of Chicago’s Legal Clinic. Ms. Meyerson possesses all the requisite qualifications to serve as a Circuit Court Judge. Jennifer Blanc is “Not Recommended” for the office of Circuit Court Judge. Ms. Blanc was admitted to practice law in Illinois in 1999 and is currently engaged in the solo practice of law concentrating in bankruptcy, probate, and real estate law. Ms. Blanc is well regarded for her work ethic and fine demeanor. Ms. Blanc has been practicing law for slightly more than 12 years and has limited practice and court experience. Additional practice experience would better prepare Ms. Blanc for service as a Circuit Court Judge. The Chicago Bar Association has released its evaluations of candidates running for the Rochford vacancy in the 12th Subcircuit. Candidates are listed in ballot order. Andrea M. Schleifer is “Qualified” for the office of Circuit Court Judge. Ms. Schleifer was admitted to practice law in Illinois in 1979 and is well versed in both civil and criminal law. Ms. Schleifer concentrates her practice in domestic relations and has handled many complex cases. Ms. Schleifer is well spoken, even tempered, and possesses all the necessary qualifications for service as a Circuit Court Judge. Michael Halloran is “Qualified” for the office of Circuit Court Judge. Mr. Halloran was admitted to practice law in Illinois in 1987 and has served his entire career as an Assistant Cook County Public Defender. Mr. Halloran has extensive jury and bench trial experience and is well regarded for his legal knowledge, work ethic, and fine demeanor. Judge James Cunningham Murray, Jr. is “Qualified” for the office of Circuit Court Judge. Judge Murray was admitted to practice law in Illinois in 1969 and was appointed to the Circuit Court in 2001. Judge Murray most recently served as a recalled judge in the Tax and Miscellaneous Remedies Section of the Circuit Court’s Law Division. Judge Murray’s recall ended December 4, 2011. Judge Murray is hardworking, diligent and well regarded for his knowledge of the law and judicial experience. The Chicago Bar Association has released its evaluations of candidates running for the Pietrucha vacancy in the 13th Subcircuit. Candidates are listed in ballot order. All of the following are candidates in the Republican primary; no Democrat filed for this Circuit Court vacancy. Judge Ketki Shroff Steffen is “Qualified” for the office of Circuit Court Judge. Judge Steffen was admitted to practice law in Illinois in 1991. Judge Steffen served 18 years as an Assistant Cook County State’s Attorney before being appointed to the Circuit Court in 2010. Judge Steffen is passionate about the law and is well regarded for her legal knowledge and excellent demeanor. Judge Steffen is hardworking and treats litigants with compassion and dignity. Paul S. Pavlus is “Qualified” for the office of Circuit Court Judge. Mr. Pavlus was admitted to practice law in Illinois in 1993 and has served as an Assistant Cook County State’s Attorney for 18 years. Mr. Pavlus is currently a supervisor in the Domestic Violence Unit. Mr. Pavlus is well respected for his work ethic, integrity, compassion, and dedication to the law. Nicholas G. Grapsas is “Highly Qualified” for the office of Circuit Court Judge. Mr. Grapsas was admitted to practice law in Illinois in 1988 and is currently serving as the Illinois Public Administrator for Cook County. Mr. Grapsas has extensive commercial and criminal trial experience. Mr. Grapsas possesses all the requisite qualifications to serve as a Circuit Court Judge. This morning's post prompted an email from Cook County judicial candidate Cynthia Ramirez. Ramirez wanted to let me know that, like Judge Alfred M. Swanson, Jr., she too is not participating in the "Road to Victory" multi-candidate fundraiser scheduled for March 16 by the Committee to Elect Illinois Democratic Candidates (CEIDC). Ramirez was listed as one of the participating candidates on the evite at the time of my original post, but her email today was unequivocal. "I am not participating in their event," she wrote, adding that she and her campaign committee "recently sent CEIDC a letter requesting that they remove my name from their list of participants." As of this evening, however, Ramirez is still listed on the CEIDC evite as a candidate for whom one may buy a ticket. But Ramirez's campaign committee is instead encouraging her supporters to come to a fundraiser on March 1, from 5:00 to 7:00pm, at Tumbao, 3213 W. Armitage in Chicago. The suggested contribution is $25. For additional information about the event, call James Robinson at (312) 332-0055. The change in the grid concerns the ratings of candidate Kent A. Delgado. In the corrected version, shown above, Mr. Delgado is rated "Qualified" by the Puerto Rican Bar Association of Illinois (PRBA); the version of the grid published yesterday was mistaken in this regard. If I receive any further corrections from the Alliance, I will of course post them. Cook County Circuit Court Judge Alfred M. Swanson, Jr. called me this morning to advise that, contrary to what I reported here on February 19, he is not a participant in the "Road to Victory" joint fundraiser sponsored by the Committee to Elect Illinois Democratic Candidates (CEIDC) and scheduled for March 16. Judge Swanson is a candidate for the countywide Ward vacancy, the seat he now holds pursuant to Supreme Court appointment. Swanson told me that he and his campaign had not authorized the CEIDC to use his name in the fundraising venture, which gives ticket buyers the opportunity to select particular candidates to support and promises those candidates a proportionate share of the event proceeds. Swanson said he'd asked the Committee to remove his name. As of this morning, the Road to Victory evite is no longer offering tickets supporting Judge Swanson's campaign, but his name remains on the evite, at least for now, as one scrolls down the page. Actually, the Alliance released all of its candidate ratings today, as you'll notice if you scroll down the page, but I thought it might be easier to follow if I break these into four pieces (subcircuit, countywide Circuit Court, Appellate Court, and Supreme Court). The Alliance of Bar Associations for Judicial Screening is comprised of the Asian American Bar Association of the Greater Chicago Area (AABA), Black Women’s Lawyers Association of Greater Chicago (BWLA), Chicago Council of Lawyers (CCL), Cook County Bar Association (CCBA), Decalogue Society of Lawyers (DSL), Hellenic Bar Association (HBA), Hispanic Lawyers Association of Illinois (HLAI), Illinois State Bar Association (ISBA), Lesbian and Gay Bar Association of Chicago (LAGBAC), Puerto Rican Bar Association of Illinois (PRBA), and Women’s Bar Association of Illinois (WBAI), working collaboratively to improve the process of screening judicial candidates in Cook County, Illinois. The italicized R next to a candidate's name here and in the three grid posts below indicate a candidate in the Republican primary.